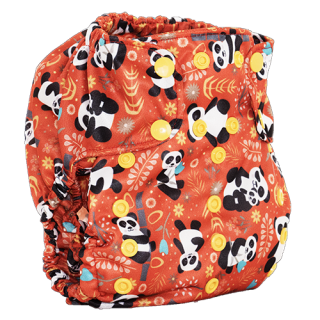 Smart Bottoms' Too Smart Cover fits most babies 10-35 lbs. Our cover features double walled gussets, front and rear interior flaps to hold insert in place and a wipe-able interior. The design and fit of the cover is similar to our 3.1, with 4 rise settings and 10 sets of snaps across the waist. We recommend a package of too smart inserts for each cover purchased. 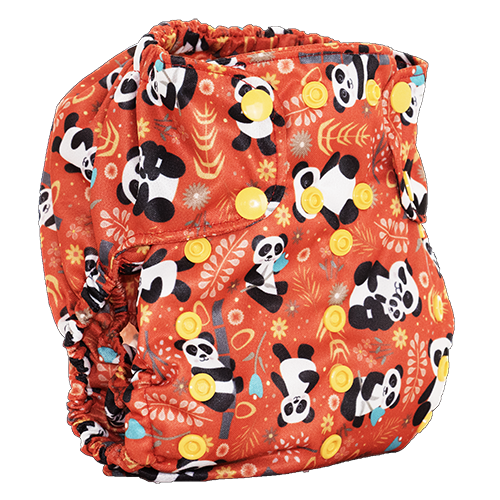 The cover does not need to washed after each change only when soiled or every 24 hours.